Well, it's that time of year again...time to see what worked and what didn't work for me in the garden. Like all growing seasons, this past year taught me some lessons. That’s the great thing about gardening, you never have the same year twice and there are always opportunities to learn something new. If I were to give 2016’s gardening season a theme, it would be “Pest and Disease Management”. Let's review, shall we? My winter sowing effort was hit hard. First, I wanted to try growing in those decomposable peat pots, which I often see seedlings grown and sold in them at the Big Box Stores. 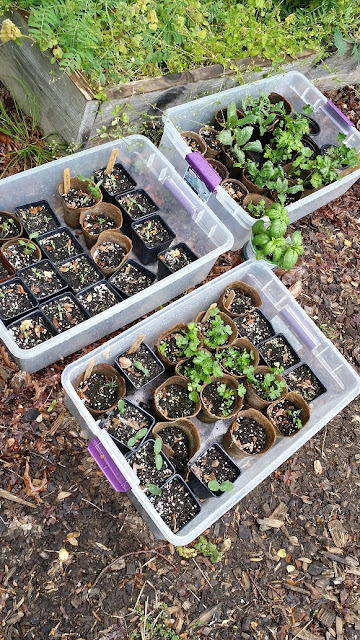 I liked the thought of just plopping my seedlings in the ground and not having to store a cache of seedling pots in my shed. Well, they turned into the WORST idea ever as they wicked moisture from the soil in the pots bone dry if I even turned my back on them for a minute. 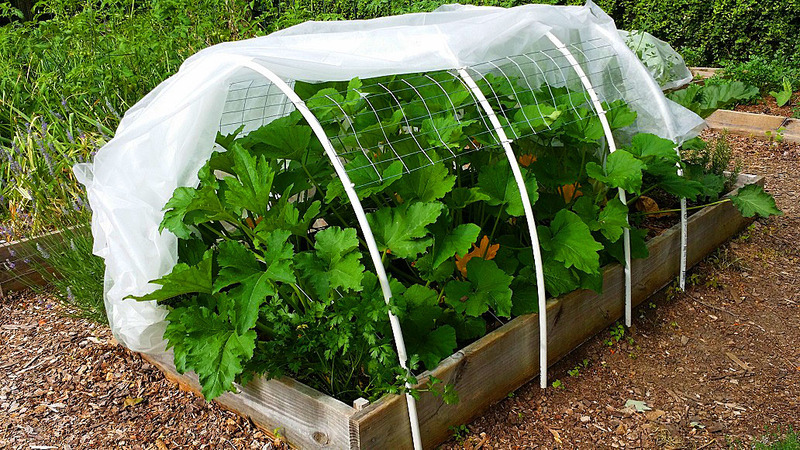 I would often have to go out 2-3 times a day and water them just to keep my seedlings alive. We also had a late freeze, which fried my not-hardened-off seedlings, and that forced me to re-sow seeds again later in the season. 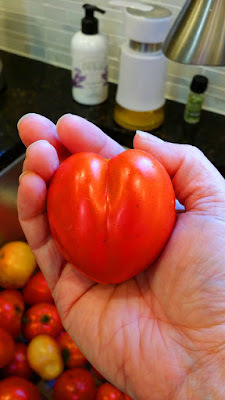 This actually worked in my favor, as just when my hybrids were petering out in production, my heirloom seedling plants were taking off. However, changing to a soilless seeding mix worked perfectly, so next year I will try again with that and maybe Solo cups! 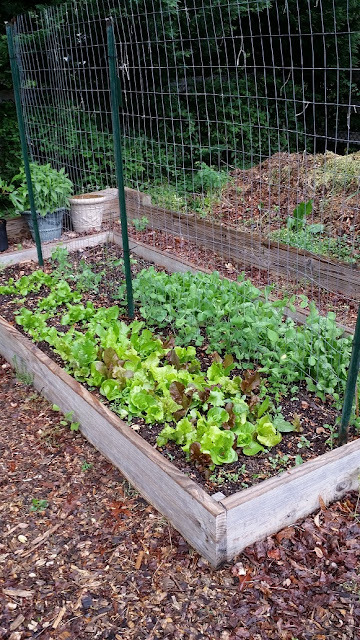 Elsewhere in the garden, I learned from last year and planted all the greens in the back beds, put the garlic in the front beds (and label them!). Personally, I think this is the prettiest time of the year besides fall. Everything is growing strong and healthy and lush. I treated all my existing bearded irises with a grub control pesticide granules two times: once when they first broke ground and again about 6 weeks after that. I didn’t get any flowers, as the rhizomes took a beating last year and had to reestablish, but I’m betting that next year will be fabulous! 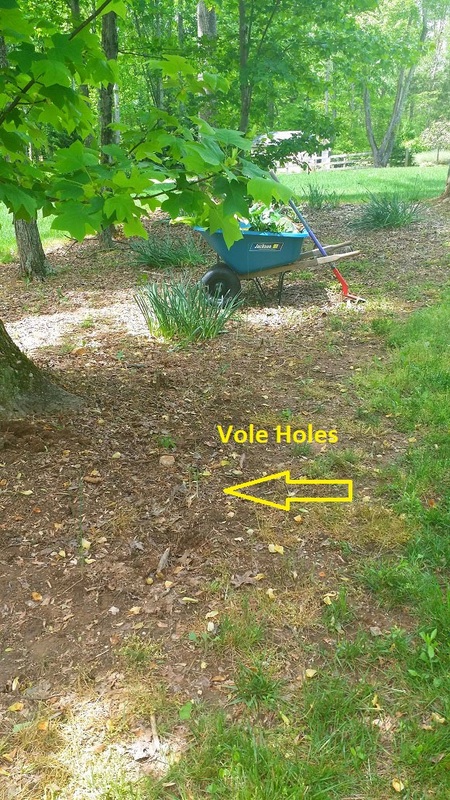 Late spring was also when I noticed that I had a vole problem. 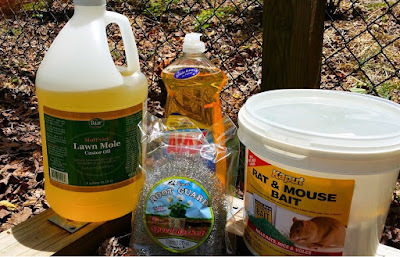 I first tried to deter them with castor oil and soap, then I tried above-ground bait stations, and eventually resorted to using wire planting baskets and poison to protect my plants and lawn. I found the most effective way to reduce the vole population was by smashing up the bait nuggets into small pieces and “planting” those pieces directly in the active vole tunnels. If I just put them down their “air holes” and covered them up, it didn’t seem to be as effective. I had to find their active tunnels, gently push the soil away, plop a few pieces in, and then gently cover the soil back over without crushing the tunnel. I did this every week or so until I saw no more new activity going on. This process took me pretty much all year to get them under control and I still have to plant “maintenance” bait out when I start to see new activity. I tried zucchini again along with summer squash to a good enough success. At first, I tried row covers to keep the squash bugs and squash vine borers out, but that became too much work to maintain, so I sprayed the vines with BT every 7-10 days to control larval hatching cycles. This seemed to work quite well. I still didn’t get “overloaded” with zucchini and squash, but it was good enough. I planted half of my toms in single rows instead of double…what a HUGE improvement in their health and production! Figs started to grow! 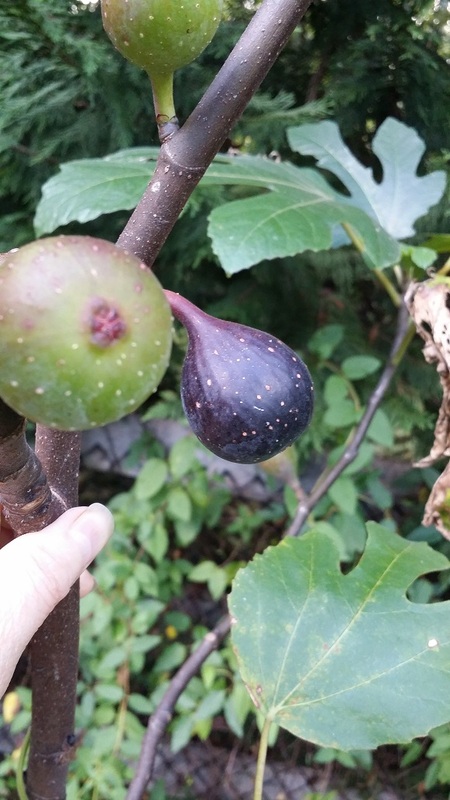 I finally got a glimpse of my first-ever figs this summer. 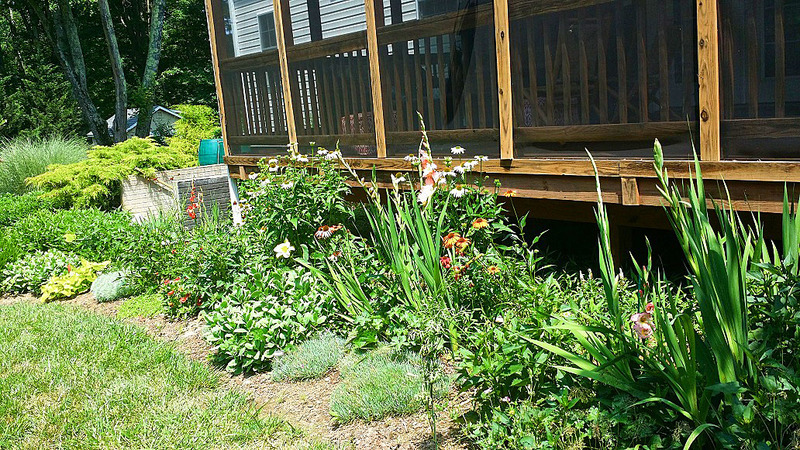 This past year made me realize that I needed to upgrade and amend my back perennial bed. In the spring/early summer, things look and behave wonderfully in this bed, but the soil there is awful, hard-packed clay and it needs help. When the temps climb, this poor bed suffers as the plants struggle to stay healthy and hydrated. This next spring I plan to dig all these perennials up and till in a ton of good garden soil and compost, then replant. This will be a big project, but it help the plants (and me!) in the long run. Summer was when we also started noticing something going on with our lawn. From the ground, it just looked like the grass was dry from lack of rain, but from above inside the house looking out, there were definite patterns in the lawn. Circles, in fact. A little research told me this was brown patch and it could potentially kill our much-hard-worked-for lawn of Kentucky Blue and Tall Fescue. 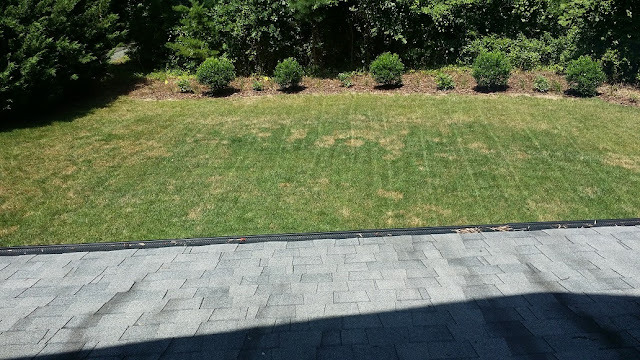 Of course, this was no easy (or cheap) fix and we had to go purchase lawn fungicide to help mitigate. 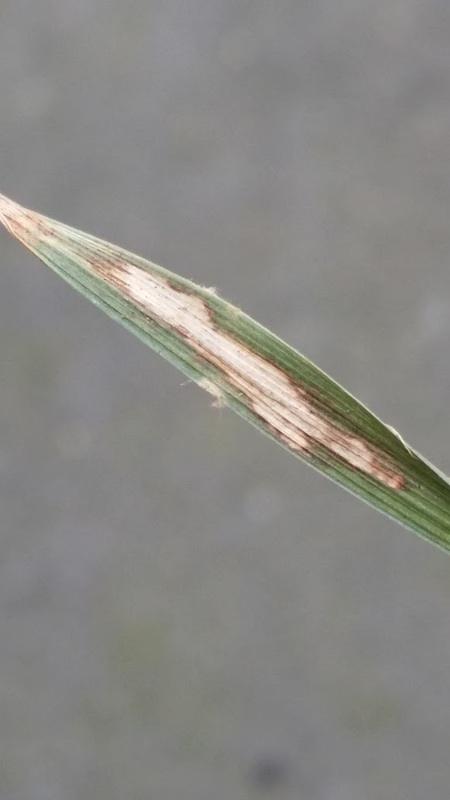 I now know that fungicide control for brown patch is really about prevention and growing the right kind of grass, so next year we will put it down before the weather heats up and this year we overseeded with Kentucky 31 Tall Fescue, which is supposed to be more resistant. About the end of summer, I also noticed that one of my brand new hostas in my hosta bed looked a little different. 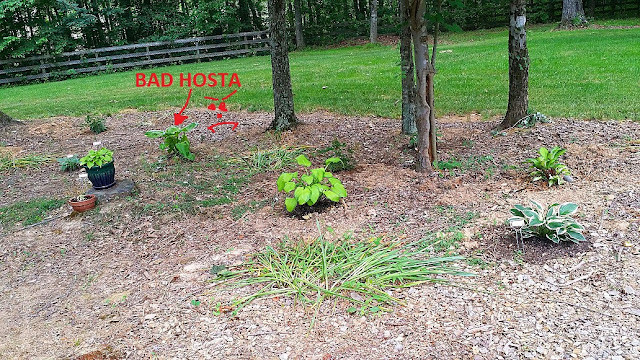 I had been stalking the hosta growing forums online and heard about this ominous virus called Hosta Virus X. This virus has the potential to completely wipe out any healthy hosta that comes in contact with and is heavily monitored and controlled by government agriculture agencies. Unfortunately, there are Big Box Stores that still somehow manage to sell hostas that have this virus, as they do not do a very good job of monitoring their products, plus most of the people working at the Big Box stores have no idea of what you’re talking about (nor do they really care) when you mention to them they are selling plants infected with Hosta Virus X.
I had to order special (and expensive) test kits to test my plants, and sure enough, one of my plants (so far) was infected. I pulled it up, bagged and disposed of it, and cannot plant another Hosta in that same area for at least 3 years. There is a lovely heucherella there now. I plan to test the others next year and know to only buy my hostas from reputable sources. The rest of the garden did great, including the garlic and tomatoes. Lorz Italian garlic was my all-time favorite and best producing garlic. 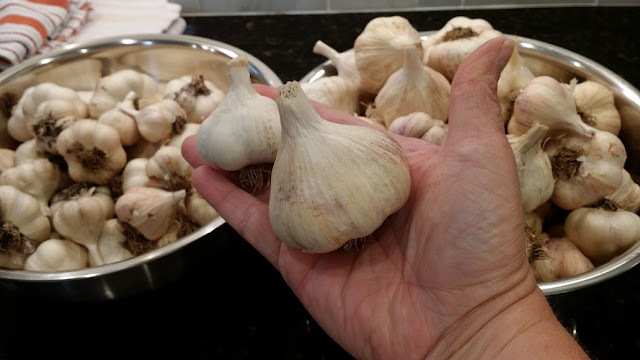 I still have about 50 heads of garlic sitting on my kitchen counter ready for eating!. By summer's end I petered out like I normally do when the weather is hot, so no fall garden planting for me! I'm ready to pack in all in come August/September. 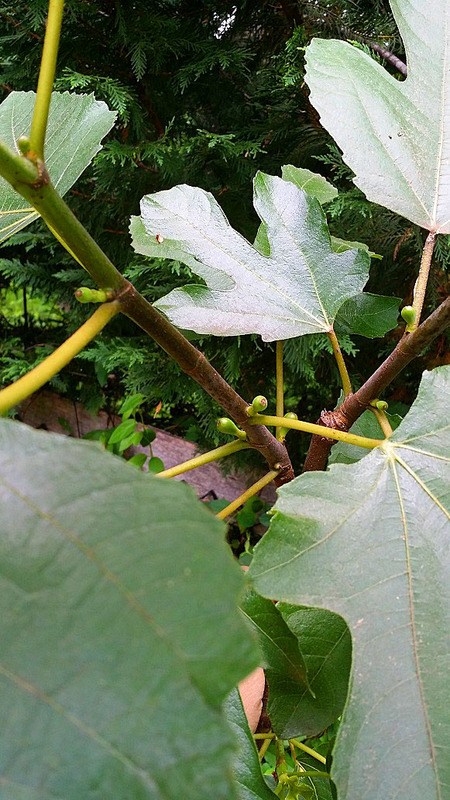 In September, my figs trees gave me about 12 beautiful figs and I was thrilled! I have since pruned them and they are sitting dormant in their pots in the garage. They will get transplanted to bigger pots next spring. I did not plant garlic or beans this fall/late fall, as I wanted to give my beds a break. Plus I was a little burnt out by the end of summer. It was a hot one for sure, but not as hot or dry as last year. I didn’t plant all that I wanted (as usual), as I felt I was battling critters and other garden/yard issues most of this year. But the MOST important lesson I did learn was the importance of fresh seeds. I noticed that some of the older seed packets I had that I tried to plant failed, so I need to reorder all new seeds soon. Date your seeds! After 2 seasons (sometimes less), your seeds lose their viability. Keep track of their expiration date. Winter sow ONLY in plastic/Styrofoam cups! 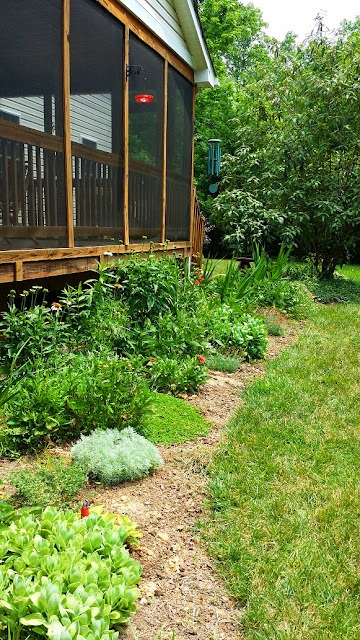 Dig up and amend the back perennial bed by the porch – that soil is as hard as a rock and the plants struggle. Implement some sort of automatic watering system for the back, mulched beds in the yard and the perennial bed. Watering by hand is really a time-consuming pain in the arse. Try to find a stronger water pump for the water barrels...I would really like to use a sprinkler to water the grass if I can. Put down preventative fungicide on the lawn in April and follow-up with applications every other month till September. Keep an eye on the vole population; don’t let them get out of control! 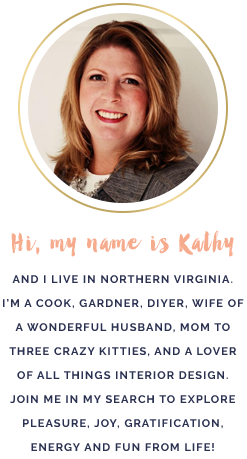 Try some Swiss Chard and Kale this year! Maybe Tiger Melons again.